When my bundle of joy popped out (literally, thanks to a C-section but after 18 hours of active labour), he was gorgeous, with lips that looked like a dark pink rose bud. Daddy got to hold him first and I lovingly gazed on. Aaron having sensitive skin was not something I had given thought to before he was born, but I guess you should always expect that a child will inherit something from one or both parents. 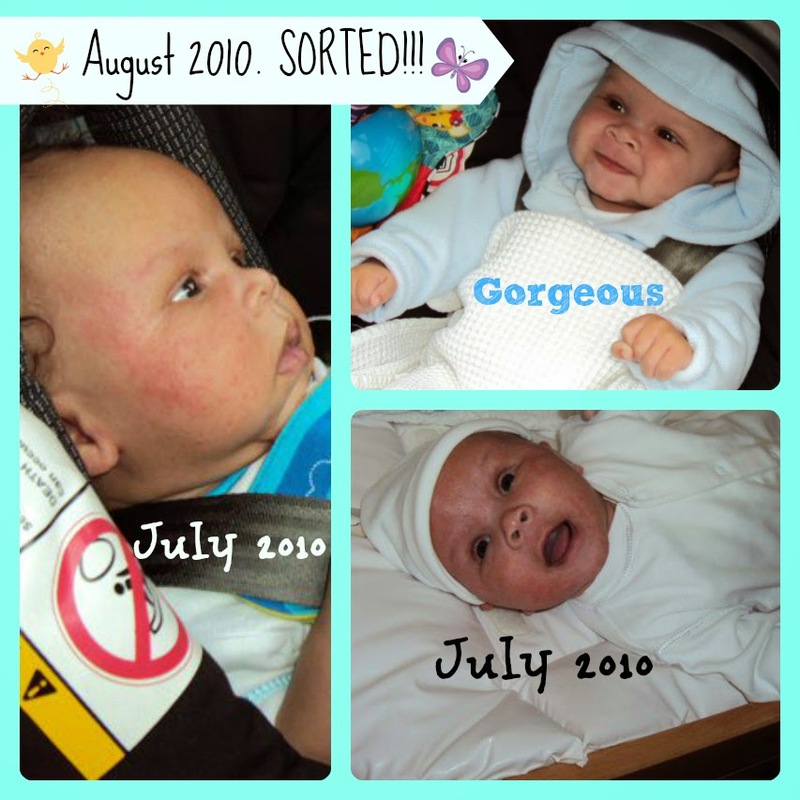 From the minute we started trying to conceive, my health and the knock on effect it would have on his, as his carrier for 9 months, was always my first concern. So alcohol, aspartame, caffeine, etc... they were all ditched! 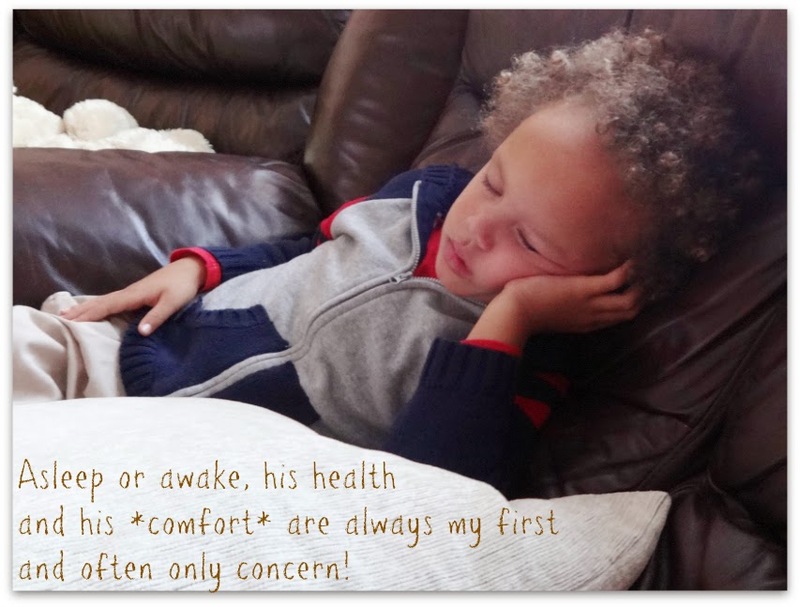 Once home, post-birth, every time that he wanted to be held, he was held. My Mum was with us for 9 weeks, and had an old school approach of "put him down or you'll create a rod for your own back" but I had read a book that explained the first 3 months were like a 4th Trimester, so I held him every time he wanted Mummy, hence I got very into baby wearing, carrying him in a sling, often doing so even for his afternoon nap (like on holidays in Ireland where he did not have a cot - we didn't start co-sleeping till he was 6 months). I practiced most elements of attachment parenting, but only when they came natural to me, or intuitively something felt like the right thing to do. Like for example I could never let him "cry it out" or even do controlled crying. It didn't surprise me at all when I later read up on the research about the neurological damage that can occur when a baby's crying is ignored. I often forget how bad baby Aaron's eczema was within those first precious few weeks of his life. So bad in fact that it was on his face! If it wasn't for photos I would rely on memory which would say he only had it on wrists, ankles and the back of his knees. Truth be told he was born in June 2010, and very early on and in July 2010 his face was covered. Moisturising daily helped with the soreness and dryness. It did not alleviate the redness. Daddy simply thought he had inherited his eczema. I don't have too many photos of it as my tendency was to take flattering photos, but you can see it above - it was sometimes worse than that. The facial eczema cleared instantly however, as soon as I changed him to dairy free formula (I was combination feeding, so he had top-up bottles due to my low milk supply). The reflux and colic also cleared up pretty much immediately. 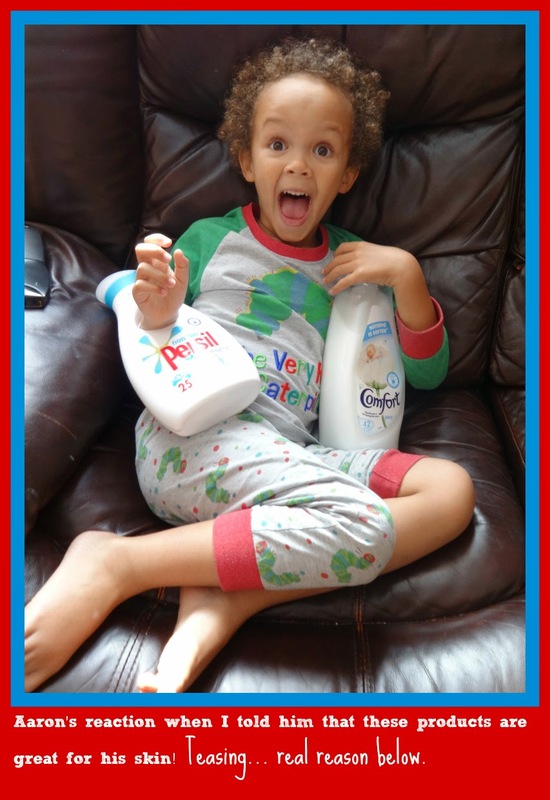 It was these and not the eczema that prompted me to go dairy-free with his formula, so the side-effect that the eczema almost cleared was a bonus. I didn't get GP or Health Visitor advice regarding the milk - I just worked on gut instinct - forgive the pun! But I think as Mums we often do. For the first year or two he continued to suffer on his body as described above (legs and arms), but mildly. I later addressed this by ceasing using softener when washing baby clothes an actually in general doing the laundry. The difference was instantaneous. I got this tip from Twitter funnily enough. However, I later used a different washing/laundry detergent and he got a really bad flare up, all over, so I changed to a market leading non-bio. Until recently I thought they were the only brand gentle on baby's skin. However, I have now discovered Persil Non-Bio and Comfort Pure. Yes, this product is a #CollectiveBias #Shop, but so protective of Aaron's skin am I, I bought Persil non-bio BEFORE applying for the shop, to test if it was for me! I wasn't going to be work on something that would be harmful to Aaron in any way. So the capsules you see photographed below, I bought prior to this "shop". I've now used all of the products, and with the addition of the Comfort Pure the smell on laundry day is fabulous. For me I need incentives to do laundry. A blue sky (such as there is today) is welcome, as it means you know you can get it all dry - naturally! The feeling I get when the laundry is up-to-date, folded and put away is second to none. It really helps if it all smells great too. Products that are sensitive are of particular importance given that Daddy suffers from eczema too, so it is a family priority to get this right! (Aaron's reaction above was when I told him his best friend and mine - Mum Husband & Son - were coming for 3 days - they are here now). 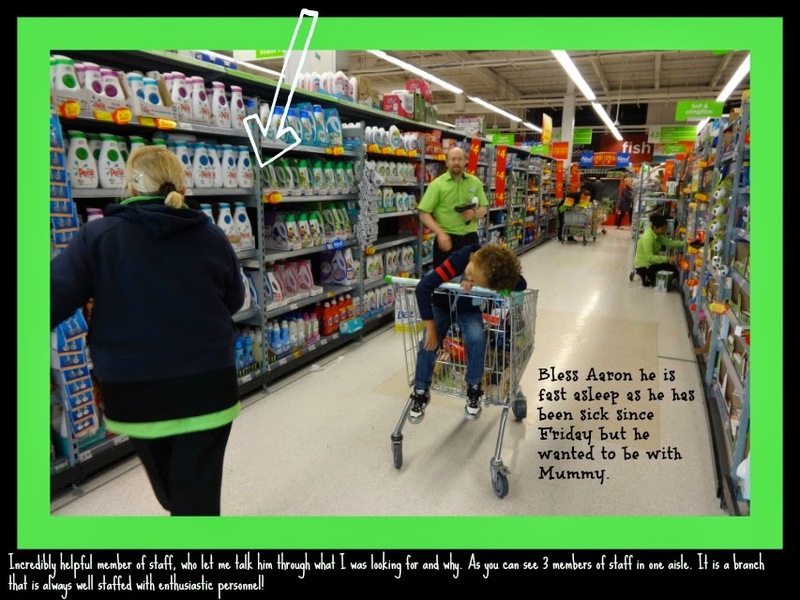 Tommy's Charity has teamed up with Asda to do an onpack promotion on Persil Non-Bio and Comfort Pure. When I did my shop the stock was not in yet, but a very helpful team member checked with his Section Manager who said the stock is on "shipping" and they are expecting it. They know about the #Mums4Tommys campaign. 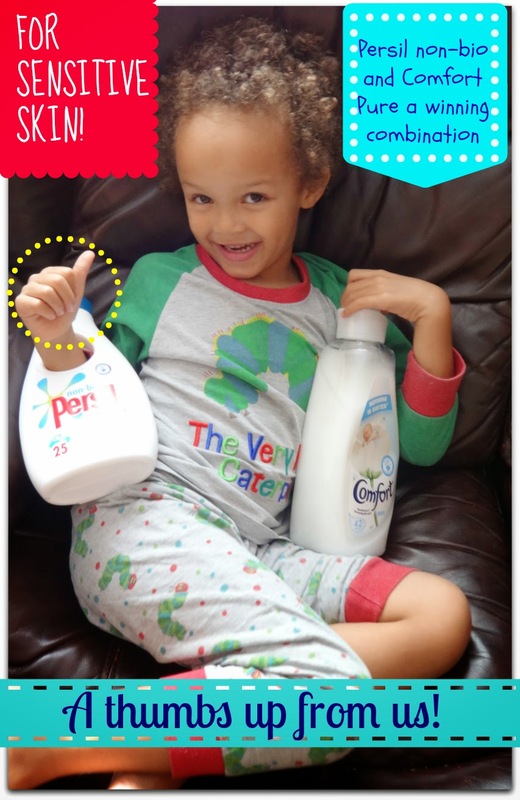 Persil non-bio and Comfort pure will donate a total of £100,000 to Tommy’s (registered charity no. 1060508, SCO39280) to support their research into the prevention of miscarriages, premature births and stillbirths. Tommys are such a great charity. I have absolutely no personal experience of the above (touch wood) but I can only imagine how much support I would need and therefore respect their work and their cause so so much. Aaron has had diarrhoea since Friday night (a reaction to handling a hamster); he had the option to stay in the car with Daddy, but opted to stay close to Mummy, so came food shopping with me. I tucked him safely in the trolley as I knew he was too weak to be walking around or to do his normal RUNNING around. Quite early on in the shop he fell asleep. Today Thursday 28th August he finally seems like his normal self and has his full appetite back. Like with food, it is often the products without colouring that are the least harmful. Since becoming a Mum out of all the household chores that I now do more of, laundry has to be my absolute favourite. It's a task where you can really see progress. NOTHING I love more than knowing the laundry is up-to-date, smelling wonderful, all folded and neatly put away. 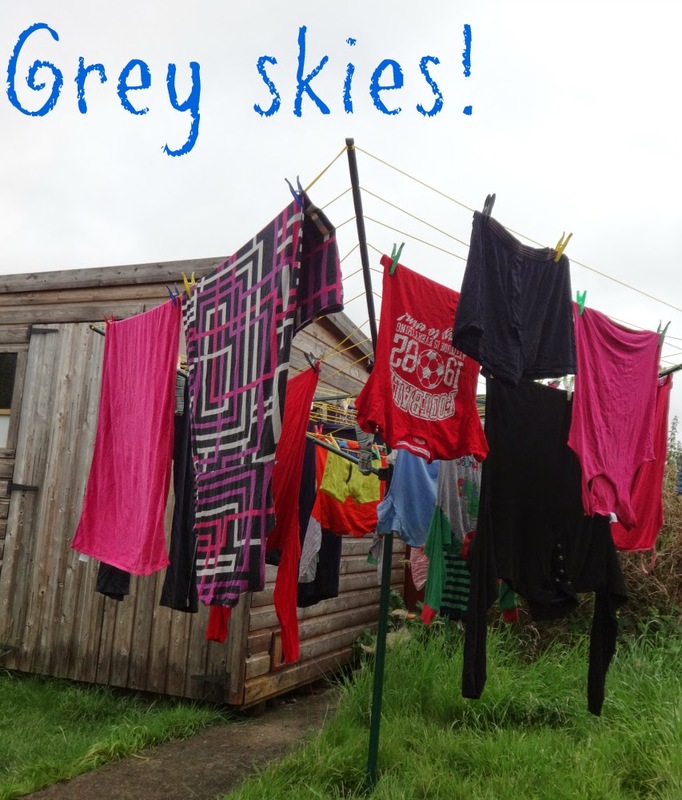 The last few days have seen a grey sky, but so happy was I that the rain stopped, I made sure I used the breeze/dryness to get our clothes dry. Thankfully today there's a beautiful blue sky. I am the sort of person who would normally have a laundry "day" but the weather is currently (since August's arrival) so hit and miss, so wet, that literally you do a wash whenever you can, whenever there is a day that looks like you can get it dry! Today, Aaron's finally on the mend, and has his best friend here for 3 days, which means I have mine too, as she is his Mum. We're both delighted to see them. Although I can't forget how ill he has been this week. Often times falling asleep on the sofa like below, despite growing out of afternoon naps a long long time ago, although these have been all late evening ones. 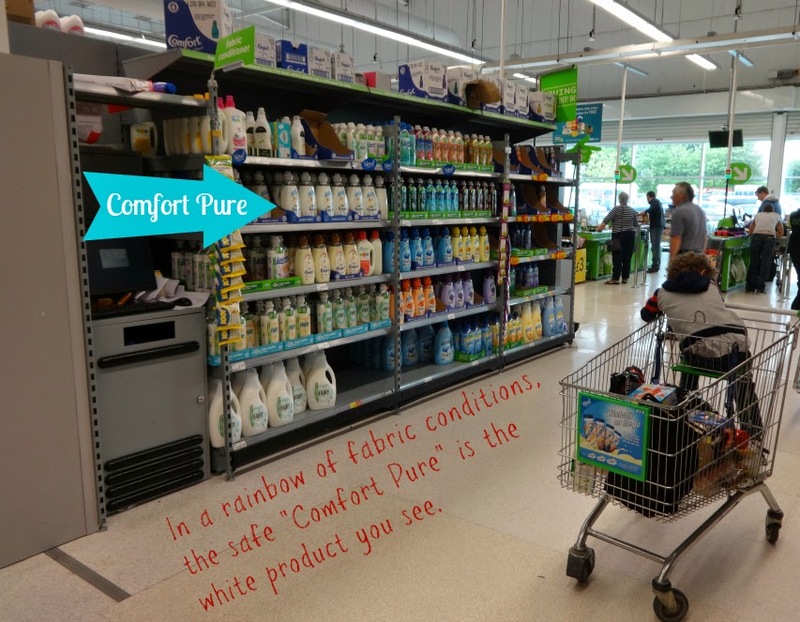 Back to this shop... for us, Persil non-bio and Comfort Pure are a winning combination; more information can be found here: "We're Number 1 for Sensitive Skin".